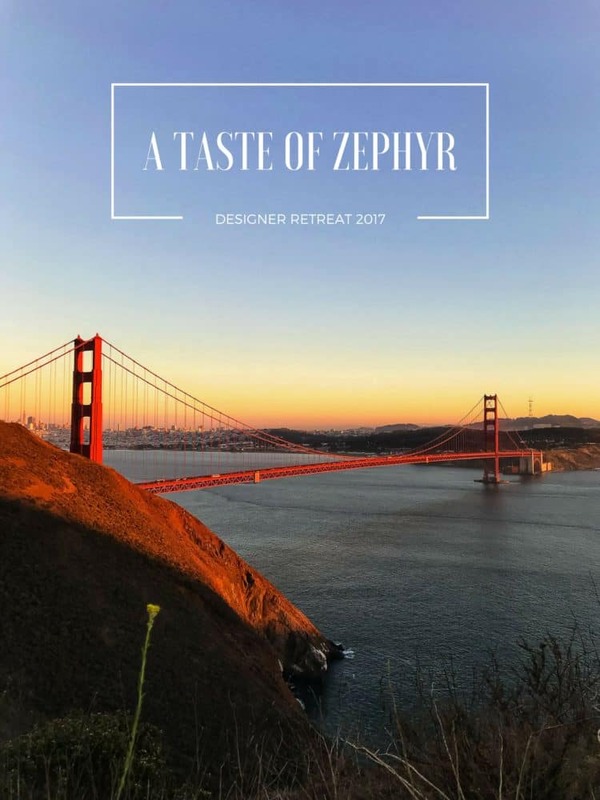 I recently joined Zephyr for their 2017 Designer Retreat, right here in my own backyard of San Francisco. 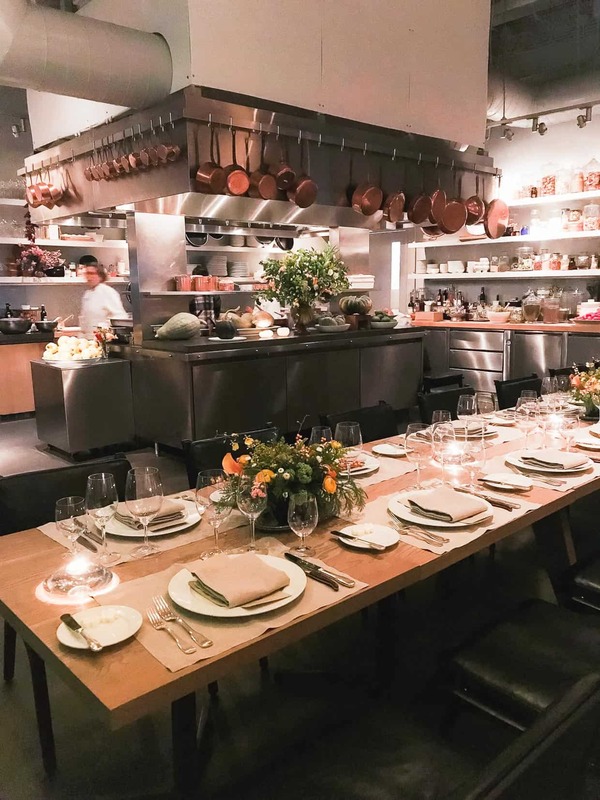 Come along for a taste of my week exploring all things kitchen and design, mixed in with a good dose of delicious food and wine in San Francisco and Wine Country! PLUS a giveaway to win a Zephyr range hood! 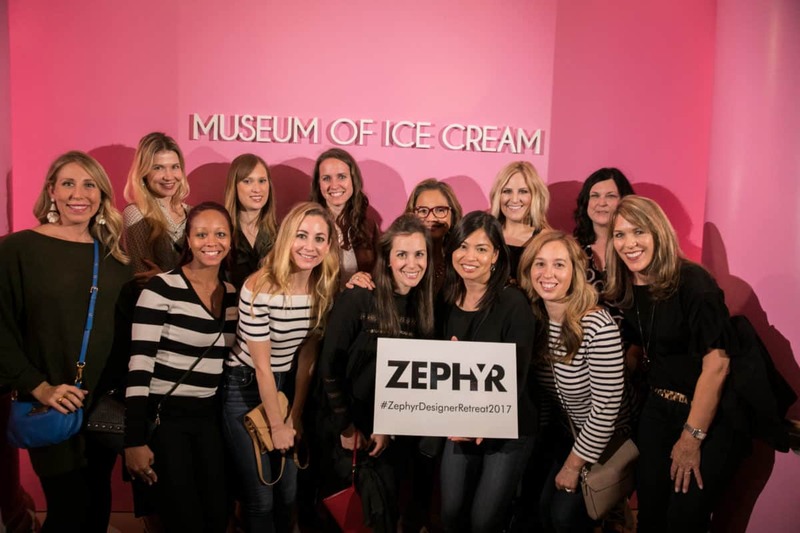 I recently joined Zephyr for their 2017 Designer Retreat, right here in my own backyard of San Francisco. 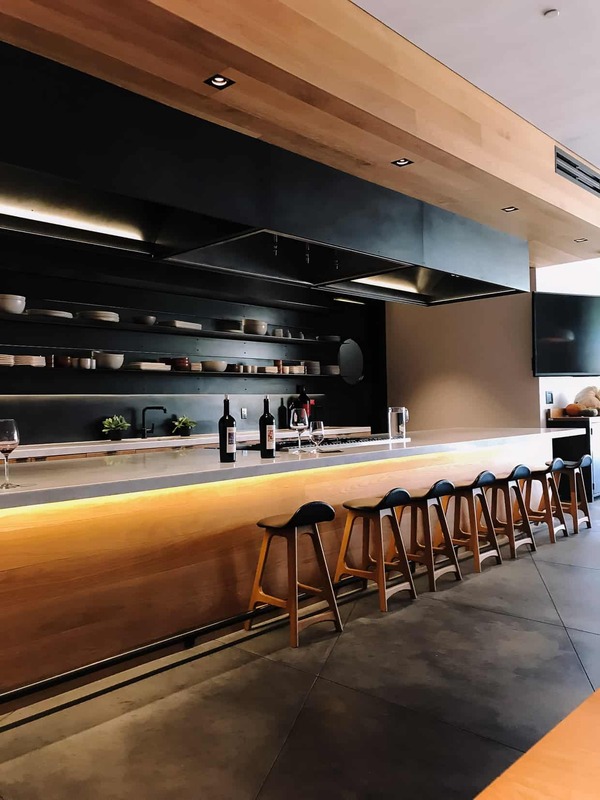 Come along for a taste of my week exploring all things kitchen and design, mixed in with a good dose of delicious food and wine in San Francisco and Wine Country! Plus, a giveaway to win a Zephyr Range Hood! This post is sponsored by Zephyr Ventilation. I spend nearly every waking moment in my kitchen. If I’m home, you can bet that I’m in my kitchen, and there are certain times of the year (like Thanksgiving, for example!) when I joke to myself that I should just set up a cot next to the stove since I never seem to leave. When you cook as much as I do, it helps to have a cozy, friendly, efficient kitchen, and I feel so lucky that in our current house, my kitchen has beautiful, natural light and just enough space for me to be productive. It’s been a long time since I’ve thought about a renovation (like in our old house, when we gutted it! ), so quite honestly, I’ve been out of touch with the latest and the greatest when it comes to kitchen design and innovation. 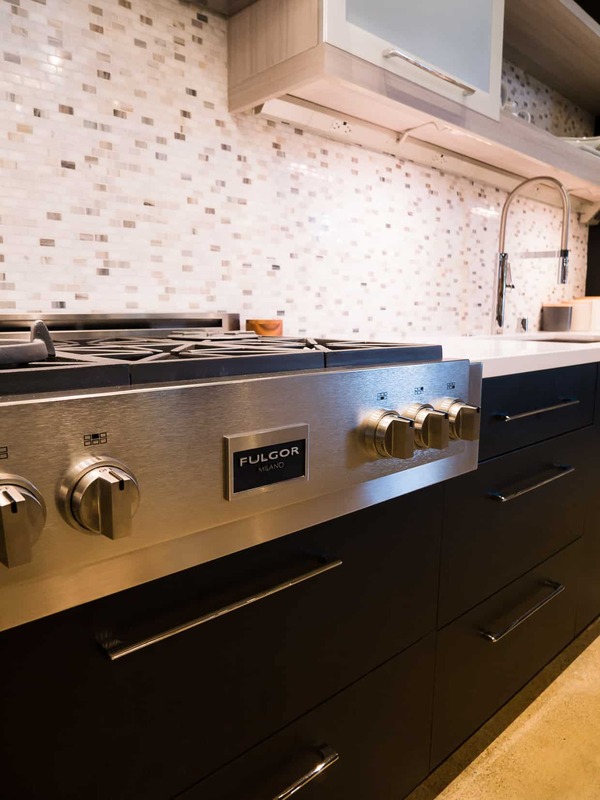 Just across the hills from where I live, there is a Bay Area company that focuses on just that, and has been since 1997; I’m sure you might have come across Zephyr Ventilation if you’ve ever had to re-design a kitchen. Known not only for their sleek, innovative design, Zephyr has been a pioneer when it comes to hood features such as a self-cleaning hood, and lately, their DCBL Suppression System, which means you can have a super powerful, energy efficient hood that operates silently. And when I say silent, I really mean it is so quiet, it’s hard to tell it’s even on! Zephyr welcomed designers, bloggers, and food media (that’s me!) 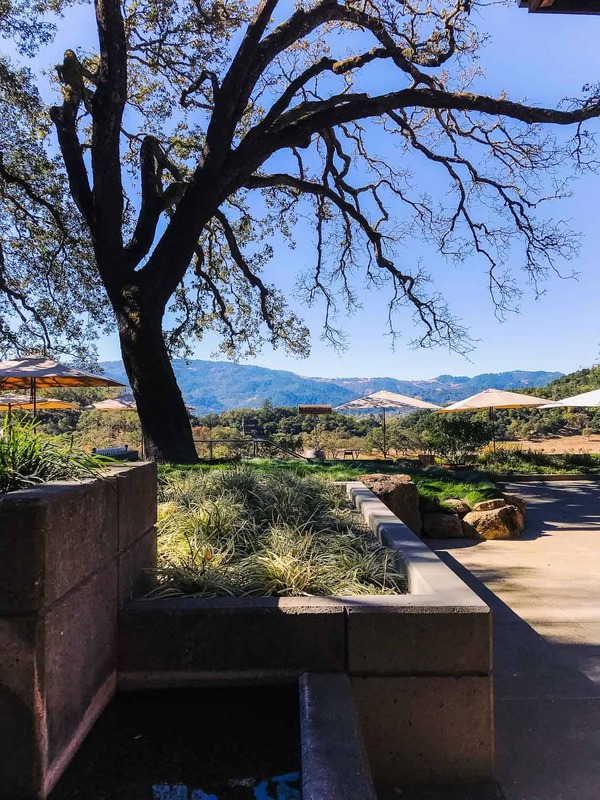 for this year’s retreat, and as we made our way through some of the Bay Area’s most beloved restaurants and spots, it gave me an appreciation for the design we encountered everywhere we went. From the history and design at the Clift Hotel, to the restaurant design behind the cozy kick-off dinner at Wayfare Tavern, I felt as though I was viewing my San Francisco staycation through very different lens. Never before had I really thought about, in precise detail, the design elements in my hotel room wall colors, or the carpet in the dining room where we had breakfast. But this retreat taught me to think a little differently. 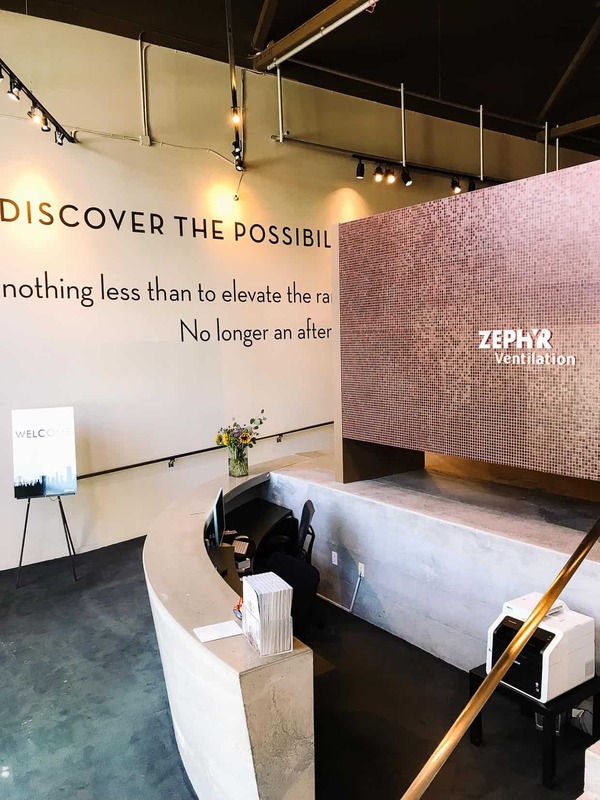 In the Design District of San Francisco, Zephyr has a beautiful showroom where we spent the day immersed in all things ventilation. 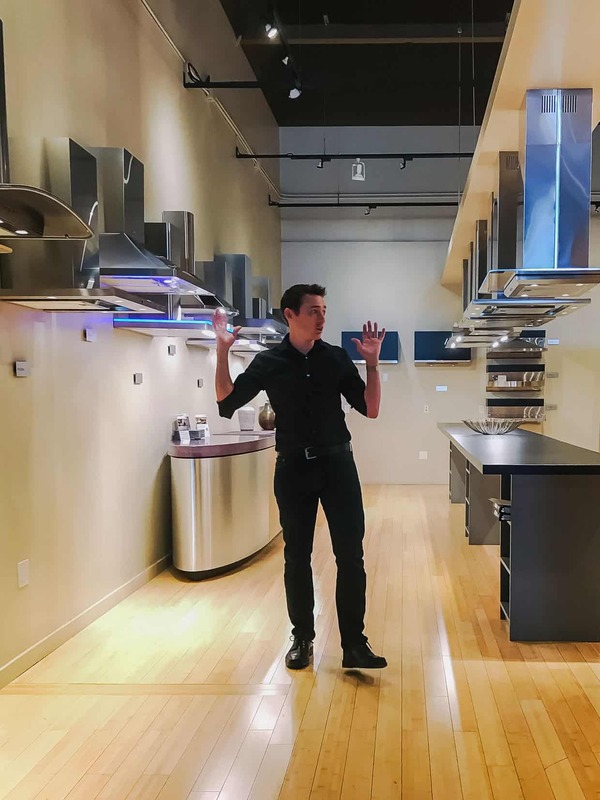 Besides exploring all the sleek designs — and Zephyr has a hood for every application – from small European-style hoods for apartment living to larger-scale hoods for outdoor kitchens — we also spent a lot of time learning about the importance of ventilation when it comes to indoor air quality. Since I’m always in the kitchen cooking, I realized that I don’t operate my hood as often as I should (tsk tsk) and maybe you’re like me — I love how my ventilation hood looks, but quite frankly, it’s so loud, I can’t wait to turn it off, when I really should be letting it run even when I’m done cooking. Seeing first hand how Zephyr really takes these considerations into account have had an impact on how I use my hood now. Now when it comes to design, this is another area where Zephyr stands out. They have partnerships with acclaimed designer, Fu-Tung Cheng, and industrial designer, Robert Brunner — something I consider so smart. 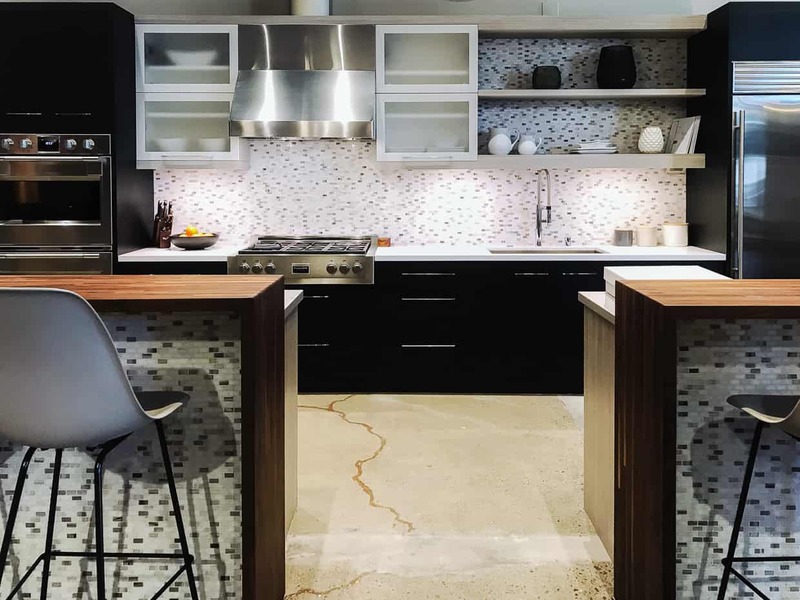 Zephyr recently celebrated their 10th anniversary of their partnership with Fu-Tung Cheng, and to celebrate, they introduced the Limited Edition Okeanito kitchen hoods, which are available in Rose Gold and Black Mirror Stainless. It was the first time I encountered these materials in an appliance, and my goodness they are stunning. One of the biggest treats for us was spending time with Fu-Tung Cheng himself, and learning more about his evolution as an artist and designer. Simply put, Fu-Tung is one of those genius types who came of age in that magical era here in the Bay Area — hanging around with the likes of Alice Waters, a name familiar to many of us — focusing his passions into his art and design. Nowadays, his home designs are some of the most sought-after, and to see how this translates to his design of hoods is nothing short of inspiring. 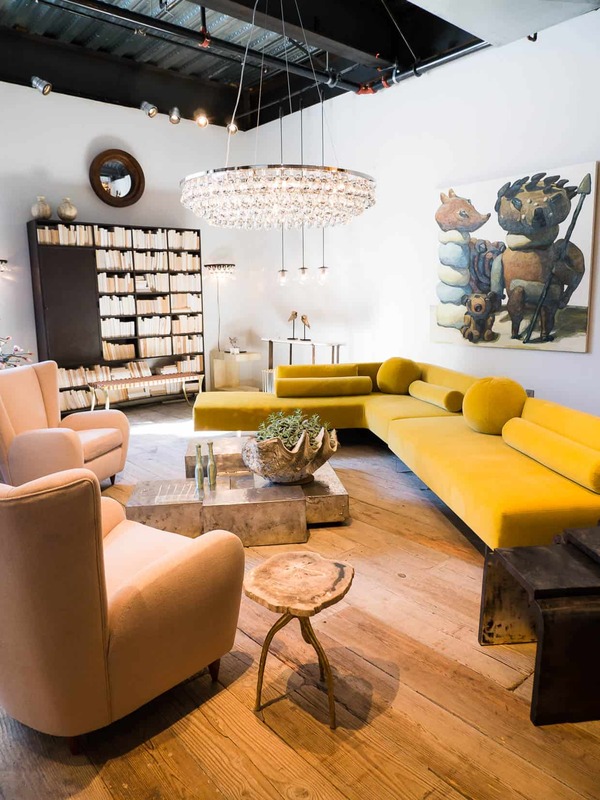 To continue inspiring us, our friends at Zephyr moved the trip beyond the showroom by taking us on a Design District tour of Nido Living and Coup d’Etat showrooms, where we could explore beautiful furnishings, art work, one-of-a-kind pieces, and more to our heart’s content. 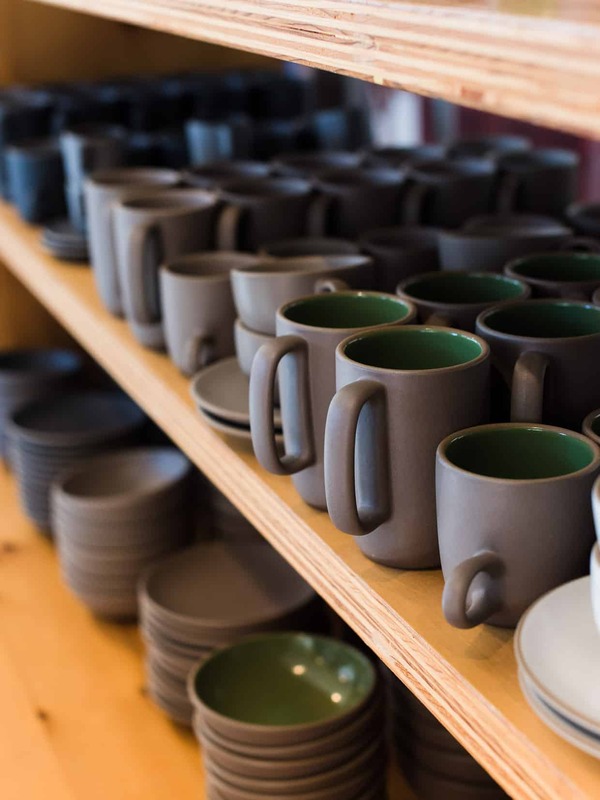 But the highlight for me came after, where we spent a little time at Heath Ceramics. 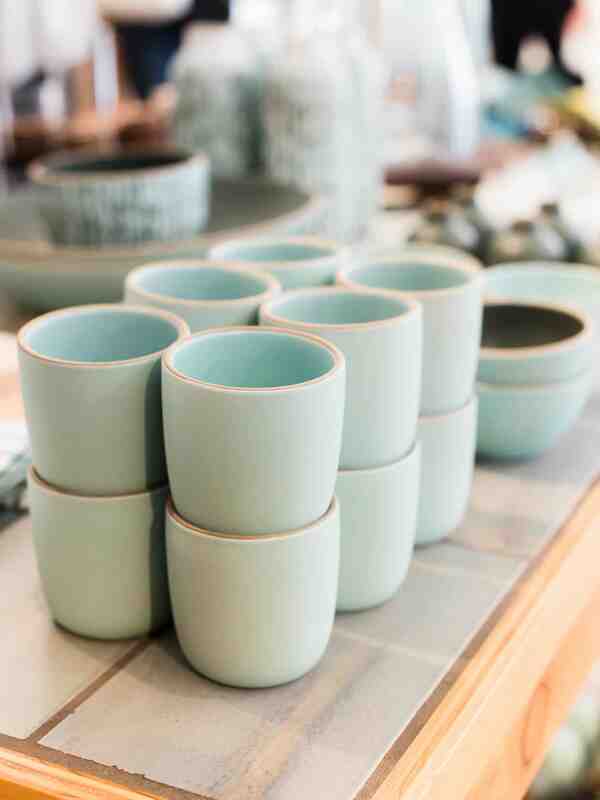 My family knows that when we’re at the farmer’s market in the SF Ferry Building, I always have to stop inside to drool over the pieces at Heath Ceramics. Having the chance to spend a little time behind the scenes in their San Francisco retail space where we could explore all the gorgeous dinnerware and watch the tiles being made was so much fun for me! To cap off our day of learning, we had the rare treat of enjoying Boulettes Larder to ourselves. We couldn’t ask for a more perfect spot for dinner — located in the Ferry Building and overlooking the sparkling Bay Bridge lights reflecting off the water, the unusually warm weather followed us into evening. We sipped wine and slurped oysters outdoors and then gathered at the table to a gorgeous meal together. Our final day took us outside the city, where we were drove up to wine country to experience some of the best food and wine in Napa. 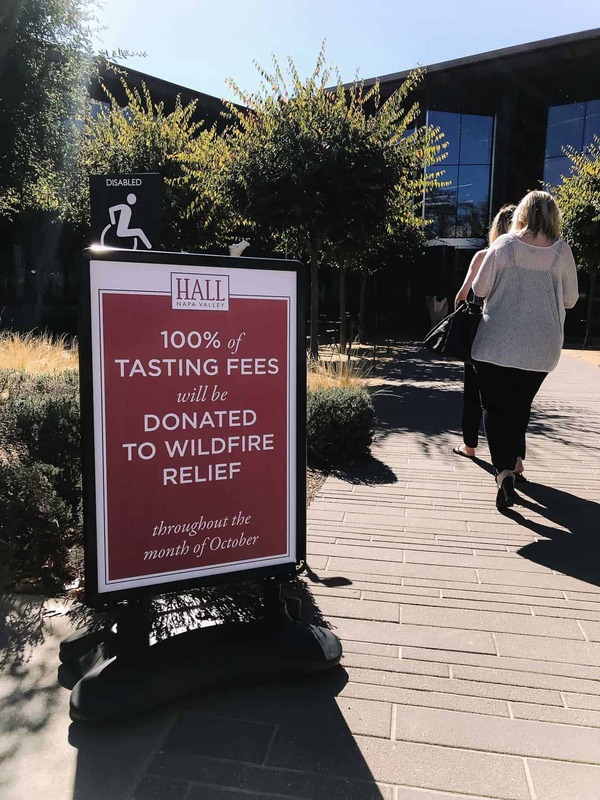 It was the first time I returned to Napa since the devastating wildfires just a couple of weeks earlier, and it was touching to see the recovery process underway, and to see the gratitude in the eyes of all the business owners who have reopened for business. 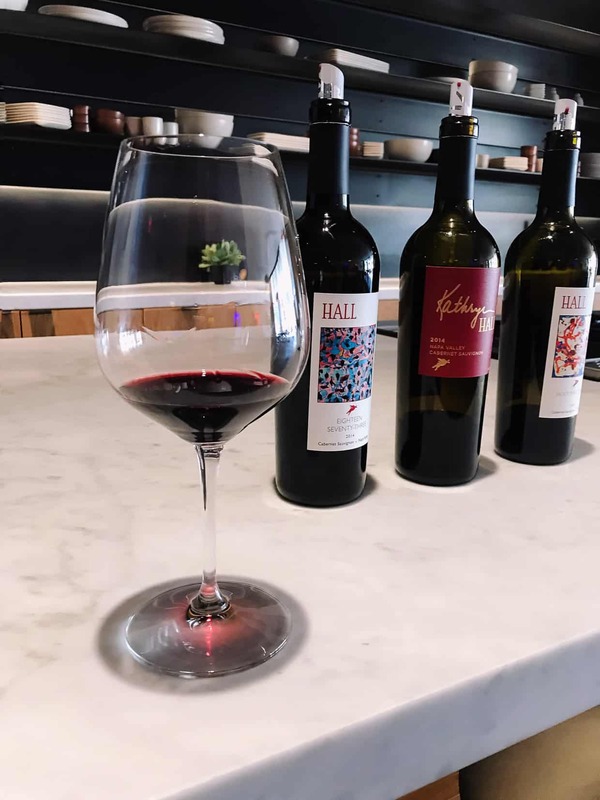 To be able to bring a little bit of our support and our appetites to help rebuild wine country was so meaningful, and made our tastings at Joseph Phelps and Hall Rutherford even more touching. Lunch followed at the classic Bouchon, and as if that wasn’t enough, we all needed to rest on the drive back to the city, because our farewell event took us to the Museum of Ice Cream. If you haven’t been, I won’t spoil it for you, but let’s just say that you will be dreaming of pink, glitter, unicorns and sprinkles for days after you go! And ice cream, of course. On that sweet note, I must thank my friends at Zephyr for including me (the solo food person!) on this epic trip. Thank you for getting me out of my kitchen and into yours, for helping me explore and see this beloved San Francisco with new eyes, and for curating such quintessential Bay Area tastes for all of us! And, of course, for introducing me to such a fabulous group of women whose eyes for design have impacted how I look at everything around me! 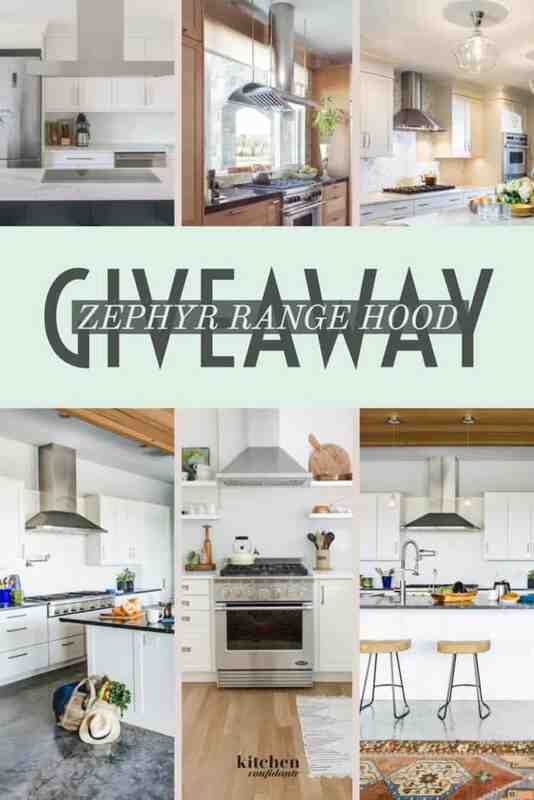 I am thrilled to share that our friends at Zephyr are generously giving away a range hood to one lucky winner! This giveaway is now closed. Congratulations to Marco on winning a new range hood! 2. 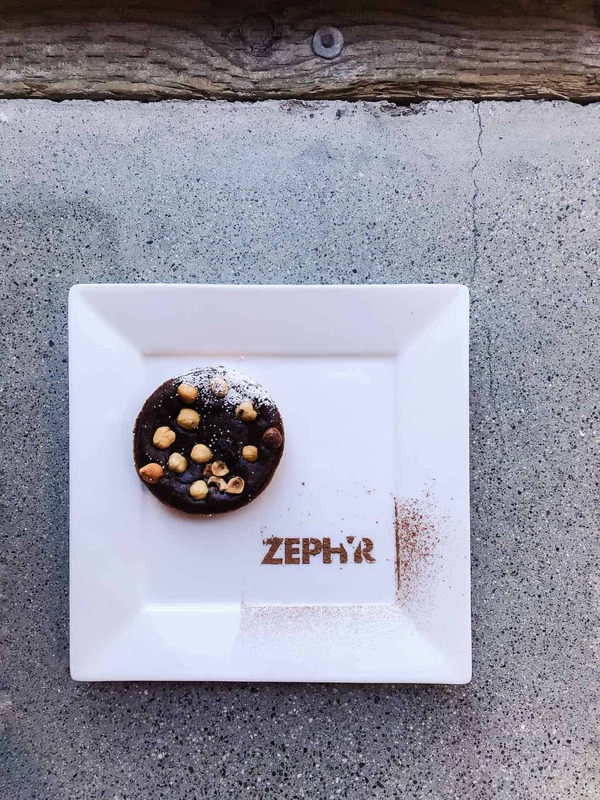 Follow both @discoverzephyr and @kitchconfidante on Instagram. 3. Leave a comment below with the style you’ve chosen and your email address so that I can contact you if you are the winner. A winner will be randomly selected on Thursday, March 22, 2018. Disclosure: This post is brought to you in partnership with Zephyr. Thank you for supporting brands that matter to me; sponsored posts such as this help behind the scenes at Kitchen Confidante. All opinions in this post are, as always, my own. interesting post and so glad to hear about Napa, was there in July before the fires, love Hall and even their hotel, Senza? Stayed there years ago, glad to see at least portions of the Napa Valley up and running, thank you! Hi Sabrina, yes, it’s been so good to see our friends in Napa and Sonoma up and running again, and very sobering to see the damage, as well. I have heard great things about Senza — I hope to have an excuse stay at that property soon! I had a Zephyr Roma in my previous home and miss it dearly – Please select me so I can once again enjoy the cooking luxury that is Zephyr ! My 50+ y/o stove hood is so old the color wipes off if I use any cleaner on it. Makes it hard to get it clean! I would choose the Cyclone Under-Cabinet in Stainless Steel! It is so beautiful…………sigh………. Anzio Wall – gorgeous!!! This is an amazing give away! Oh my I love, love,love your pictures. Reminds me of my time a couple of years ago in Temecula. The hood I like is Verona Wall. But then again if I find the glass is hard to clean, I may have to change my mind. In the end, I love the glass. I have not seen that. I really need a hood. My cat jumped from the fridge to the hood, taking most of it with him when he landed! Right now it is useless. :( Due to my small kitchen I would probably choose the CORE COLLECTION Pyramid Under-Cabinet. I’m interested in the 30” Breeze II Under-Cabinet range in stainless steel! What a grand giveaway! I wish to win the Siena Unit! Thank you! I’m so excited about this! We bought a repo house and it’s been 2 years of living without a vent hood at all! I really like the Gust or Hurricane. I love the Gust Under Cabinet! My current ventilation system just bit the dust. The appliance store I went to suggested a Zephyr so the timing couldn’t be better. Hard to pick just one! I think the Tempest I Under-Cabinet hood would work best for us. I think the Tempest 1 Under-cabinet hood would work in my kitchen as it is but in my dream kitchen I would own the Venezia wall hood. They are all so beautiful that I would need to update my stove to match! A new hood would be amazing. Like you, mine is so loud I don’t run it as often as I should! I’d like to put in a few more cabinets while I’m at it so the pyramid under cabinet would be awesome! I would love the Hurricane Under Cabinet! My email is lbmcp@verizon.net. Thank you for the chance!! Nice blog! Learned alot from your blog. Just in time for our kitchen reno and could use Zephyr incline wall for me. How I wish I could attend something like this. I like All the Zephyr Pro Design! Could not decide what I like. The ALA-M90BWX 36″ Layers Wall would look amazing in my new kitchen. I would love the Siena wall energy star range hood. It’s modern and efficient. Amazing giveaway!!! Loving the Venezia. Siena wall hood!!! Love it! Love the Sienna wall hood! This would look fabulous in the kitchen remodel we are considering!!! 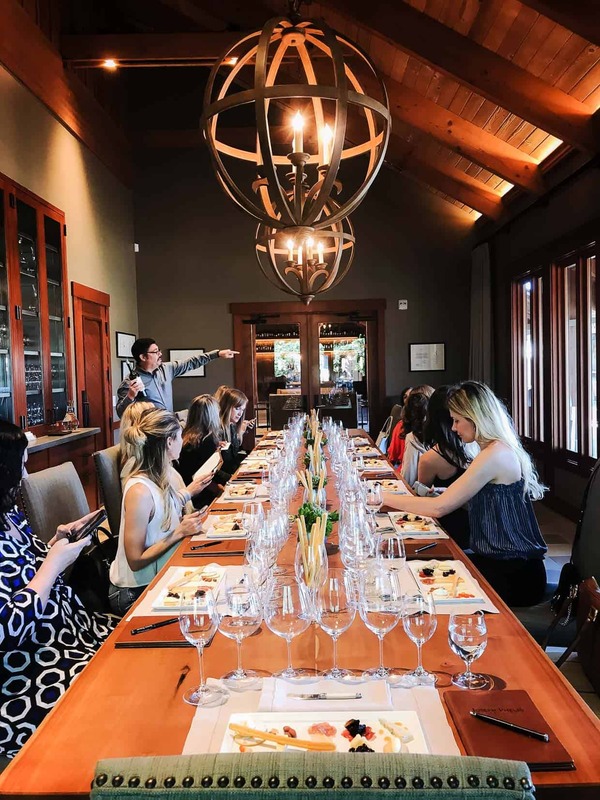 Great blog post for anyone planning to visit Napa! Glad they are recovering well! What a generous giveaway, and what perfect timing! My husband and I have finished our kitchen remodel and the only thing that can complete the look is a new hoodrange. We would love to win … crossing our fingers and toes. Thank you for the opportunity. Absolutely love the Sienna Pro wall! I’m loving the PRO COLLECTION Tempest I Under-Cabinet but would need their expert advice on what would work best in my kitchen! Holy moly. I am in awe, so many beautiful pieces. I lost my precious Nana in 2016 and I am now living in her home and remodeling room by room. This would be amazing because my Nana’s current range hood is 30 years old! I would choose the Tempest I Under-Cabinet and this would be such a blessing! The Siena Wall Energy Star is my favorite Zephyr Hood. It’d be the perfect hood for our Montana kitchen. I love the Modena hood ! Love love love !! I’ll gladly take the Breeze I undercabinet hood from your Core Collection in stainless please – it’s a breeze – just pick me. The Zephyr Tempest I Under Cabinet would be perfect. I love the classic, timeless look of the Zephyr Siena Wall hood.